The global operational analytics market is prognosticated to showcase a high potential for growth in the forthcoming years on the back of decisive factors such as the dominating advent of Internet of things (IoT)-enabled devices. The growth of the global operational analytics market could be on account of the rise in demand for cloud-based arrangements. Trouble-free maintenance and optimal cost could be some of the critical advantages augmenting the deployment of cloud-based services across several industries. Due to the emerging status of the global operational analytics market, the competition is anticipated to be on the lower side with less exit and entry barriers. However, the control of the competitive landscape of the global operational analytics market could be in the hands of niche companies that deliver dedicated IoT analytics platform. Players operating in the global operational analytics market are expected to be advantaged with the multiplying prevalence of the IoT sector. Operational analytics could be implemented in IoT for fetching productive data and offering sophisticated features in IoT-enabled devices to obtain better outcomes. More opportunities are prophesied to take shape in the global operational analytics market with the mounting development of connected devices and newer technologies such as edge analytics and platform as a service (PaaS). A host of business utilities could snowball the demand in the global operational analytics market, including human resource, finance, sales, and marketing. On the other hand, top verticals such as transportation and logistics, energy and utilities, manufacturing, retail, financial services, healthcare, and government could intensify the growth of the global operational analytics market. The rising digitization levels in numerous industries on account of technological advancements are slated to fuel the demand for operational analytics to a great extent over the next few years. Operational analytics is a technological tool for industries to enhance their efficiency through boosting transactions, growing competitive spirit, eliminating the risk of fraudulent processes, and improving decision-making capacities. 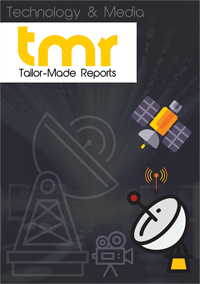 The key market factors such as trends, growth opportunities, restraints, and drivers are analyzed in the report, together with factors such as technological advancements in the field of operational analytics, market forecast, and value chain analysis. The segments and sub-segments of the global operational analytics market have been studied, along with the present and projected leading market segments and their growth drivers. The major market players have been discussed, wherein their key business strategies, product portfolios, and market shares have been revealed. The report also includes strategic recommendations for companies. The major factors responsible for the growth of the global operational analytics market include growing need for process and operations optimization and their control, popularity of Internet of Things (IoT), and rising demand for sophisticated data management. The growth of the IT sector, which has been adopting operational analytics to a considerable extent, is also one of the key drivers in the global operational analytics market. On account of their cost and time efficiency, on-demand operational analytics have been exhibiting high demand. Small and medium sized enterprises, in particular, have been adopting these low-cost solutions. There has been a significant expansion in demand chiefly originating from marketing, human resources (HR), information technology (IT), and sales and finance, among many others, providing a further boost to operational analytics over the globe. On the contrary, inability to tackle third-party data sources, absence of government support, insufficient number of skilled personnel, and high costs of initial installations have been the key challenges. The manufacturing segment will expand significantly during the forecast period, ensuring the growth of the overall market. This opportunity has arisen on account of the competitive advantages offered by operational analytics, enhancing the levels of efficiency throughout the life-cycle of a product. On the basis of business function the marketing business function is expected to exhibit substantial demand. Based on geography, the global market for operational analytics can be segmented into Europe, North America, Latin America, Asia Pacific, and the Middle East and Africa. The operational analytics market in North America accounted for a considerable share in the global scenario. High adoption of operational analytics at an early stage and technological progress in the field of operational analytics market have been contributing towards the expansion of the operational analytics market in North America. The U.K. is perhaps the most noteworthy market in Europe because of advanced use of data, coupled with increased C-level banking. Asia Pacific will exhibit significant demand for operational analytics over the coming years, due to increasing adoption of technology, high rate of urbanization, and emergence of several end-user industries in the region.